ESKW is pleased to announce the addition of four new team members this month! Below, we invite you to get to know them through some brief ‘welcome to the team’ interviews. ESKW: So where are you from? Mike: Born here, in Chinatown, raised in Queens. ESKW: What was the first album you owned? Mike: Oh god. It was rap. Notorious BIG. Ready to Die was the album. ESKW: What was your dream job when you were a kid? Mike: It’s funny, if you think like kid, kid? Before a kid that knows what a profession is? It was actually a knight. I thought they were the coolest thing. You know, what they stood for. ESKW: What spaces or buildings in NYC inspire you? Mike: Waterfront areas — I gravitate to those spaces more. And especially there because you get to see Manhattan skyline. ESKW: What might you be found doing on weekends? Mike: Oh that’s easy, basketball. Otherwise I’m doing some martial arts training. Kung Fu. Specifically Shao Lin. ESKW: Would you be interested in leading the office in some martial arts mini-training classes? Mike: Haha sure! That sounds like it could be fun. 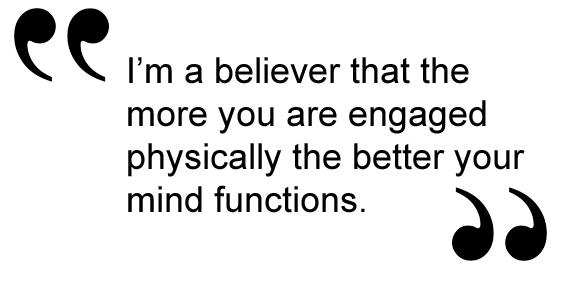 I’m a believer that the more you are engaged physically the better your mind functions. One important note: my experience and training has been more about physical conditioning and less about self-defense. For me it’s a physical form of meditation. So a mini-training class would have that approach and not really “how do I break out of a choke hold” scenarios. ESKW: We promise to be meditative and respectful, as long as you respect our right to wear neon spandex and blast ‘the eye of the tiger’ throughout. Mike: [Laughing] Yes all colors are welcome! And I’m a big Rocky fan too. ESKW: If you had to pick a project that you’ve worked on, academically or professionally, to live in for the rest of your life, what would it be? Mike: It’s actually a studio project that I did. And it ties back to my martial arts training, so for my final project there was this abandoned church that we had to renovate, and a sort of quarry not too far away. For me it became this martial arts retreat center, where you’re in the quarry or up in this temple and there’s all these training spaces—it became an obstacle course kind of thing. Melissa: Outside of Atlanta, I guess I would say. That’s where my parents are. Melissa: I spend a lot of time with my friends on weekends. Right now I try to be outside a lot, rooftopping. Melissa: I remember when I was super little I said I wanted to be an exercise instructor. ESKW: [Laughing] Well that can be your retirement plan. ESKW: When the going gets tough, what’s blasting in your headphones? Melissa: I have different music for daytime and nighttime. I really like The Format, which no longer exists — it’s the guy from Fun. And the Decemberists, too. 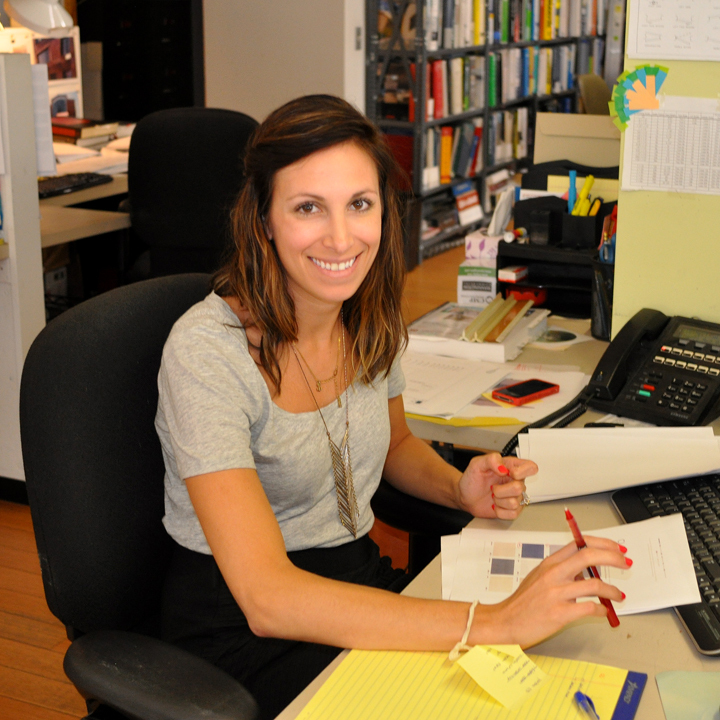 ESKW: So what inspired you to be an architect? Melissa: Well we traveled a lot when I was growing up. 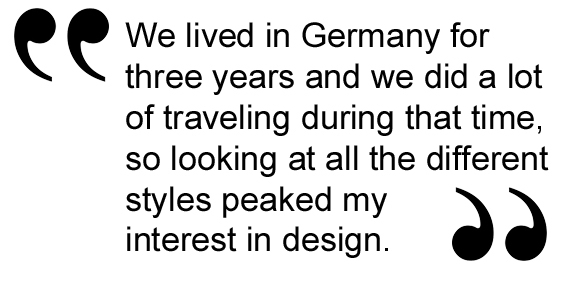 We lived in Germany for three years and we did a lot of traveling during that time, so just looking at all the different styles I guess peaked my interest in design. Melissa: There’s a SHOP building in Meatpacking that I really like. It’s the one where they did an addition on top of it – the Porter House. And I spend a lot of time on the waterfront, on the west side. I really like that, the outdoor space there. ESKW: Where did you grow up? 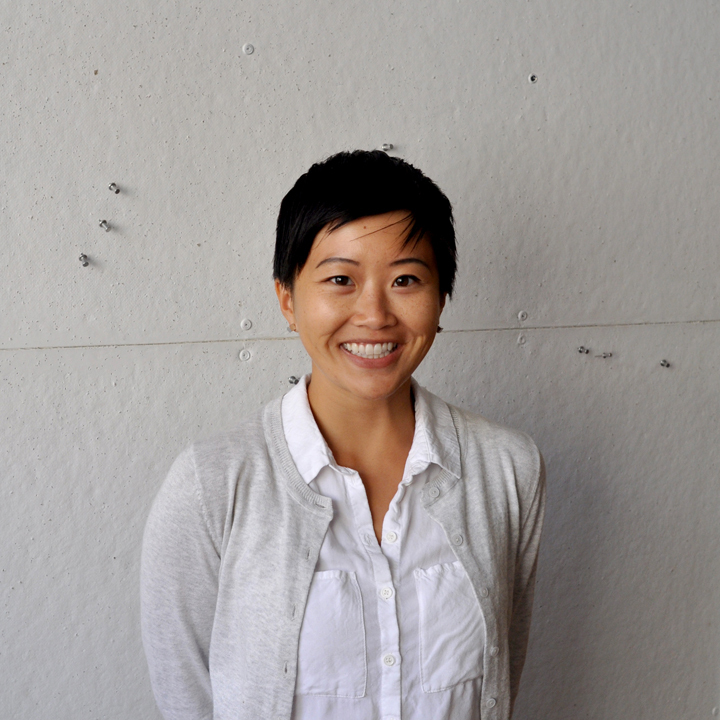 Marcella: I grew up in California in the Bay Area. I think I grew up with a big sense of place. I really liked going to parks with my cousins or going and seeing new places and my parents would always bring me to museums and we traveled a lot. It was important to my parents to go around and see a lot of culture and I think noticing that helped influence me and noticing how that shaped the community. And that’s really important to architecture too. Marcella: More the spaces. New York has really great parks. One of my favorite places to go is Governor’s Island. ESKW: When you researched this firm before applying, what was your impression of ESKW/A? Marcella: Just from the website and the statement of purpose that the firm stands for, I thought ‘Oh man, this firm is really dedicated to the New York community.’ And then I found the blog and you get a better sense of how the office culture is and you can just tell that they are probably the friendliest bunch of people you’ll ever meet! Marcella: This was a first year project, so I didn’t know what I was doing yet and I was a lot more free with it … the things that I could just do. Our project was in these hills on a site near our school, and the school is placed in this really scenic coastal city in California. 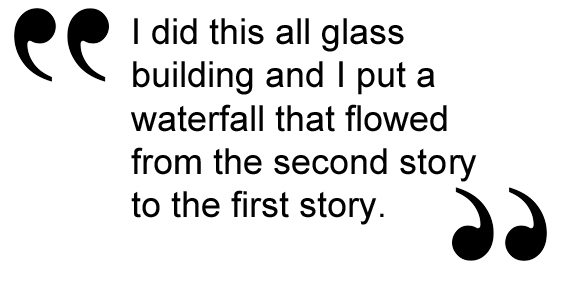 I did this all glass building and I put a waterfall that flowed from the second story to the first story. Yeah, I would live in that building. ESKW: Where are you from? Amanda: New York State – Rockland County. In the city we call it ‘upstate’ but honestly it’s about as far ‘downstate’ as you can go before you’re in Manhattan so that always irks me. So I’m from ‘downstate NY’. 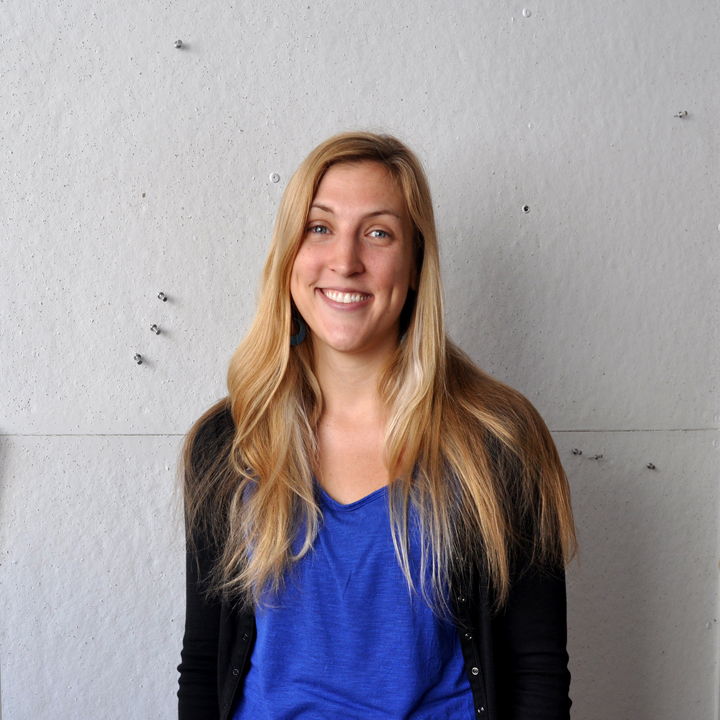 Amanda: I go indoor rock climbing most weekends. I’m also trying to take advantage of the weather and work on biking in the city. I just learned how to ride a couple years ago so I have a long way to go. But I maintain hope that I’ll manage to bike to work at least a few times this year. 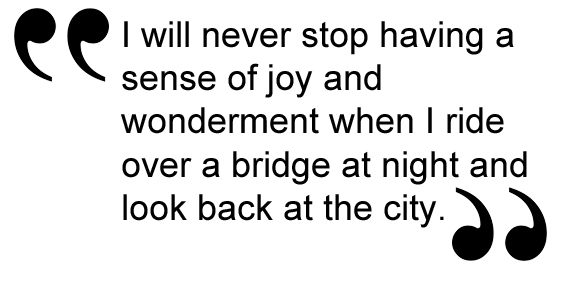 Amanda: I will never stop having a sense of joy and wonderment when I ride over a bridge at night and look back at the city. And its reflection on the water. It’s lucky we have the smog; if there were stars too I couldn’t handle it. I feel that sense of ownership that all New Yorkers do, and maybe more because I grew up nearby – NY was always just The City. Amanda: I did this museum for my 5th semester studio, in Italy on a steep hill, and the studio was all about interpreting the way fabric can be manipulated to create structure. I came up with this translucent, vaulted, pleated museum twisting down the hill, totally impossible of course, but I wish I could walk through it. Assuming we wouldn’t all be fried like ants under a magnifying glass inside.